Holiday Illness Claims have helped a Stockport woman successfully receive £1,600 in compensation following an outbreak of gastric illness at Yel Holiday Resort in Turkey. Gracia Isherwood had travelled to the 3 star Yel Holiday Resort in Turkey looking forward to a first holiday abroad with her partner. However, their stay soon became a nightmare after suffering symptoms of acute gastroenteritis. After returning home, Gracia turned to the team at HolidayIllnessClaims for help to bring a claim against her tour operator on a no win no fee basis. If your holiday has been ruined by an illness abroad, you can find out if you could be entitled to make a claim by calling us today on 0800 01 54321. What happened at the Yel Holiday Resort? 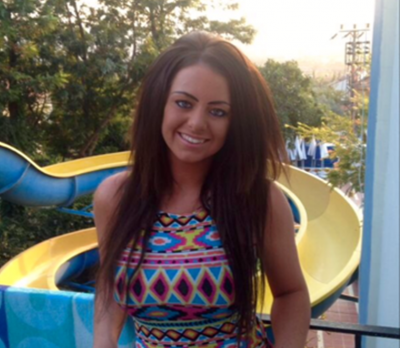 Gracia Isherwood booked a mid-August 2013 stay at the three-star Yel Holiday Resort looking forward to her first holiday abroad with her partner. Unfortunately, for ill-fated Gracia, a beach bed soon turned into a hospital bed as within days of her arrival at the Hisaronu resort, the project manager was crippled by severe gastric illness symptoms and placed onto an IV drip at the local hospital. The holidaymakers condition was so acute, that Gracia was left unable to stand. Remarkably, this was to prove just the first of two hospital admissions for the stricken tourist. A mere 24 hours after her discharge, Gracia was again admitted to hospital for further treatment. Following this second hospital admission, Gracia remained hospitalised for the remainder of her ruined holiday. I had no contact with my family other than when the Thomas Cook representative came to visit. I was told I could potentially need an operation and I was unsure if I would even make my flight home. Out of the 10-day holiday, I spent 6 days ill, this was extremely upsetting as I had saved up for a year for the holiday and was unable to attend planned and paid for excursions. Gracia returned home exhausted and remained plagued by repeat illness symptoms for several weeks, leading to a period of absence from work. GP examinations indicated that acute gastroenteritis was the probable cause of her suffering. Gracia remains in no doubt however, that poor food hygiene practices at Yel Holiday Resort Gracia were responsible for her illness ordeal. The food was of a poor standard, she states, elaborating that both undercooked and lukewarm foods were common at the resort. Gracia further labels the hotel restaurant dirty, claiming that insects and flies would swarm over the reheated and repetitive dishes. Alarmingly, Gracia states that she was not alone in her suffering as several of her fellow holidaymakers also reported experiencing similar illness symptoms. Following her ruined stay, Gracia turned to industry leaders Holiday Illness Claims for specialist legal advice and appointed travel law expert, Sue Robinson, on a no win no fee basis. With Sues help, the Stockport holidaymaker was able to recover £1,600 in a successful claim for holiday illness in Turkey. Commenting on the case, Sue said: I am so pleased that I was able to assist Gracia after a truly disastrous holiday at Yel Holiday Resort. Unfortunately, we continue to hear reports of holidays ruined by illness in resorts throughout Turkey. I strongly urge anyone who has been unfortunate enough to have suffered from illness on a package holiday within the last three years to get in touch with Holiday Illness Claims immediately. Our friendly and knowledgeable staff can advise you on the merits of your case and answer any questions you may have regarding the claims process. Gracia added, I am overjoyed to have a positive result after such a dreadful holiday experience. When illness strikes, fight back with Holiday Illness Claims. Our industry leading solicitors have over 50 years experience in travel law and an unrivalled claim success rate to help you recover anything up to £43,890 in a successful no win no fee claim. Call 0800 01 54321 now and speak to a dedicated holiday illness lawyer. Or, simple complete the online contact form and a claims specialist will be in touch within 24 hours.